My obsession with fruit picking continues. 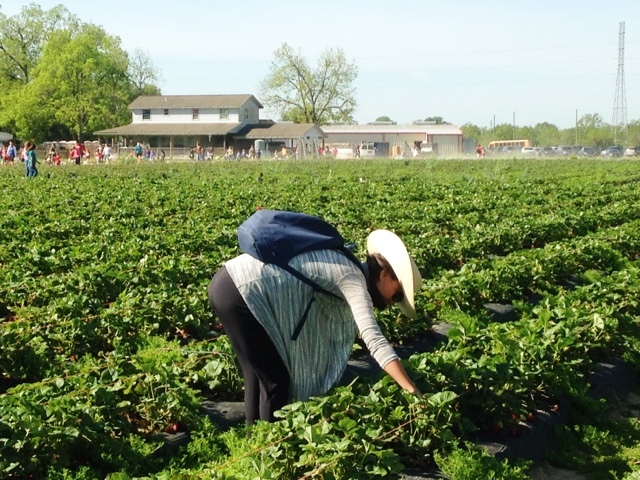 And since early April is prime strawberry picking season in Houston, Twin Sista and I decided to go pick some berries before the scorching heat and pesky mosquitos arrive in a few weeks. Now that I've picked raspberries, blueberries, apples and strawberries, I would say raspberries are the most difficult since the bushes are thorny. 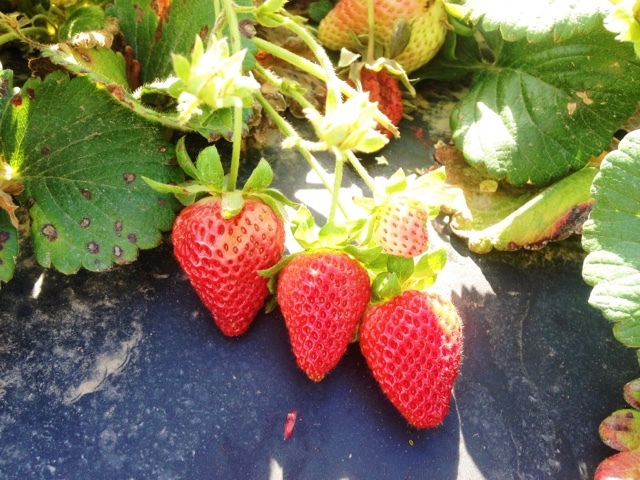 But picking strawberries is pretty frustrating too since once a ripe berry hits the garden bed, it bruises easily. I found myself getting excited about deep red berries only to turn them around and see darkened, bruised messes. 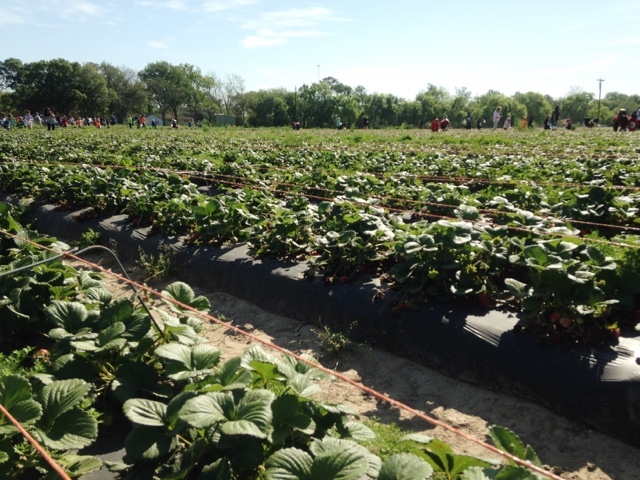 We went early on a Friday morning but as soon as we turned into the parking lot of Froberg's Farm, we saw a row of buses behind us towing heaps of children to pick berries too. 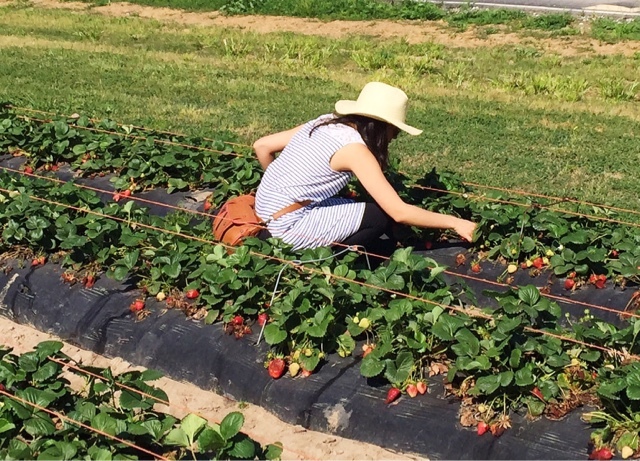 To avoid getting bombarded by the children, Twin Sista and I rushed ahead of them to the furthest row to pick the berries. But then we heard loud chatter behind us and Twin Sista yelled in a panic, "The children are coming!" (Almost as if zombies were about to attack. Also, best quote ever). And even with the kiddies berry picking amongst us, it was a super pleasant outing. The weather was perfect but a little breezy that I kept having to chase after my hat. 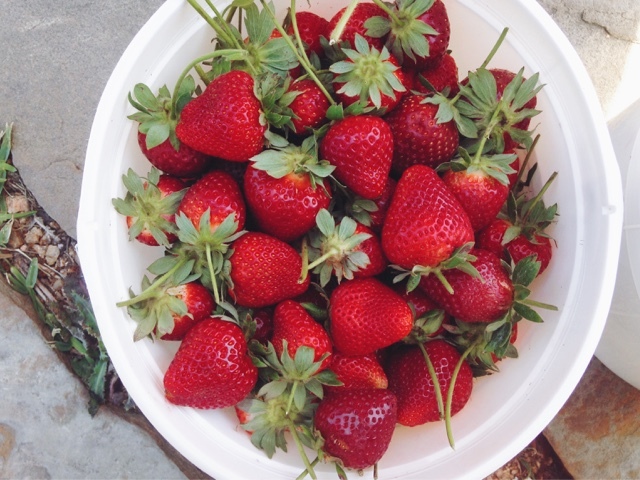 And once I got that hang of which berries were suitable to pick, I was able to fill my bucket pretty quickly. Can't wait to make this a yearly outing!